Sugoi Days: Mount Kinabalu and Mount Fuji - Wurrrrrt? Mount Kinabalu and Mount Fuji - Wurrrrrt? For me, this year seems to be a year of let's push your body and see how long before you end up killing yourself or succeed in reaching the top of not one but two mountains. Mount Kinabalu and Mount Fuji. My freaking Everest(s). That's right. 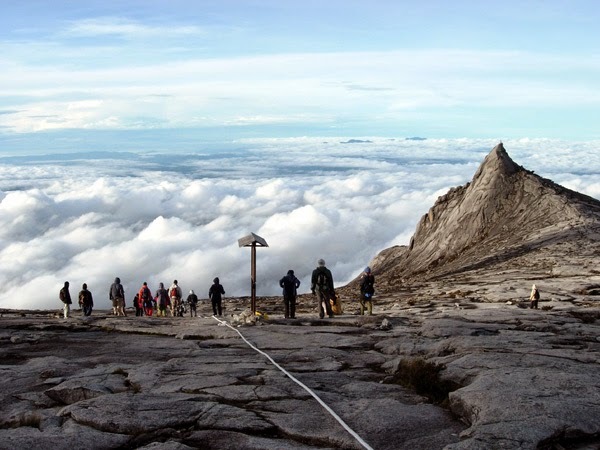 This year would the year I would finally climb Mount Kinabalu, that one mountain that 'all' Malaysians must conquer. My mum the marathoner has done it three times and each time she invited me along, it was always a resounding, "No way in hell. Over my dead body" response but not this time. This time, I am doing it on my own free will. My Airasia flights were booked early at cheap rates and I only need to pay off the remainder of the fees to the guide and we are good to go. Provided I don't injure myself, fall sick or chicken out at the last minute. Training has taken off and by training, I mean weekly hikes around Gasing Hill at a slow and fun pace with the fun peeps I am hiking Mount Kinabalu with. Unlimited sessions of bootcamp should help too right? Then two months after Mount Kinabalu, it's off to Japan for me (again) and this time, I'll be going to Tokyo for the first time ever. So I thought to myself, what can I do in Japan that is out of this world. Robot restaurants come to mind but then I thought, why not visit Mount Fuji. And by visit, I mean hike up. A live volcano! Can't get anymore extreme than that. 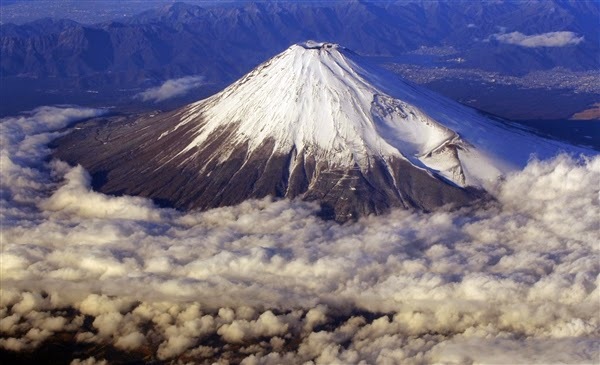 While the terrain is not as....scary as Mount Kinabalu, Fujisan is still a force not to be underestimated with Alpen-like atmospheres and if it were to rain...I am screwed. Well there it goes. My bold declaration for the year. Either that or this will make the first of many entries of a deteriorating insane person.